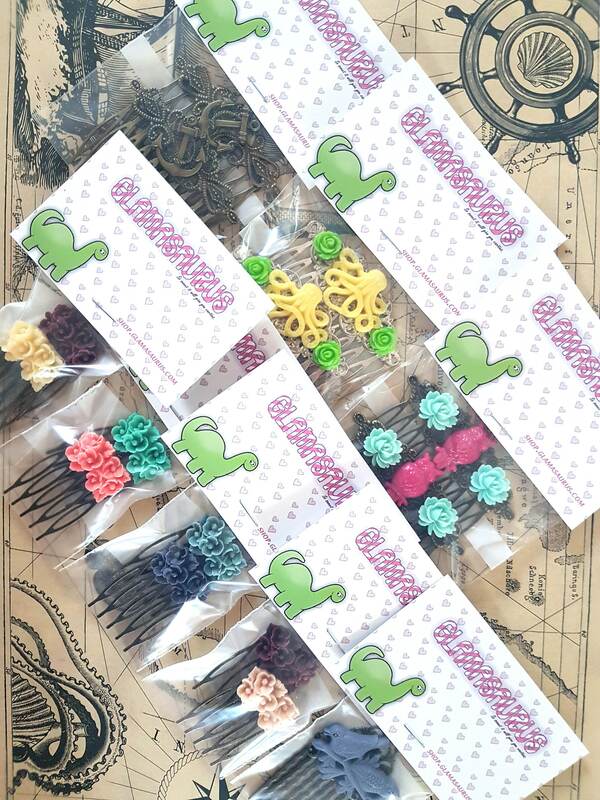 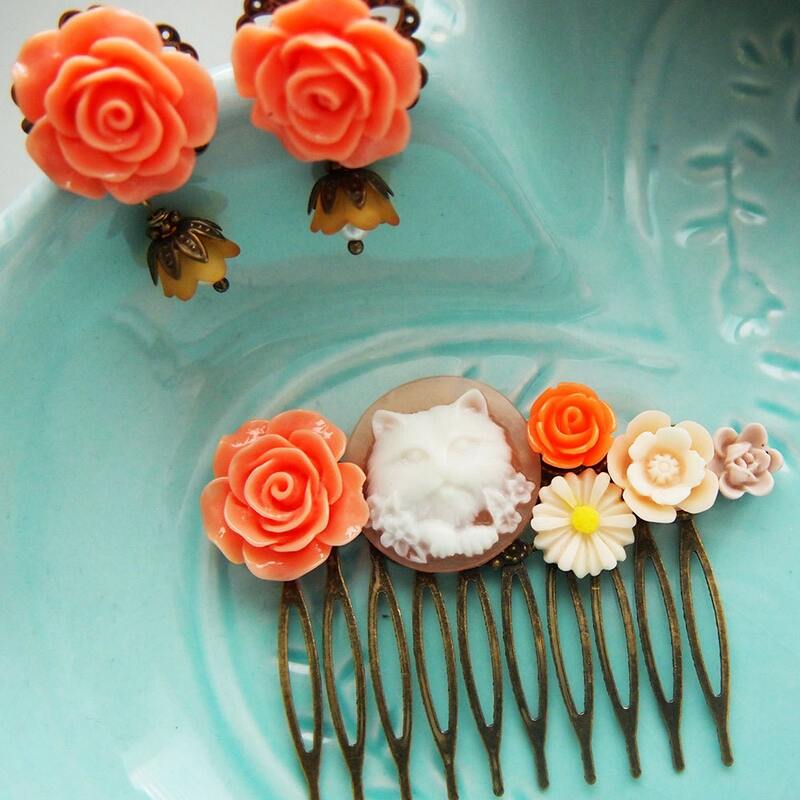 This matching set will take the stress out of accessorizing. 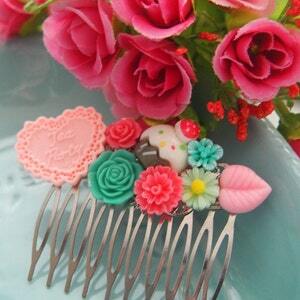 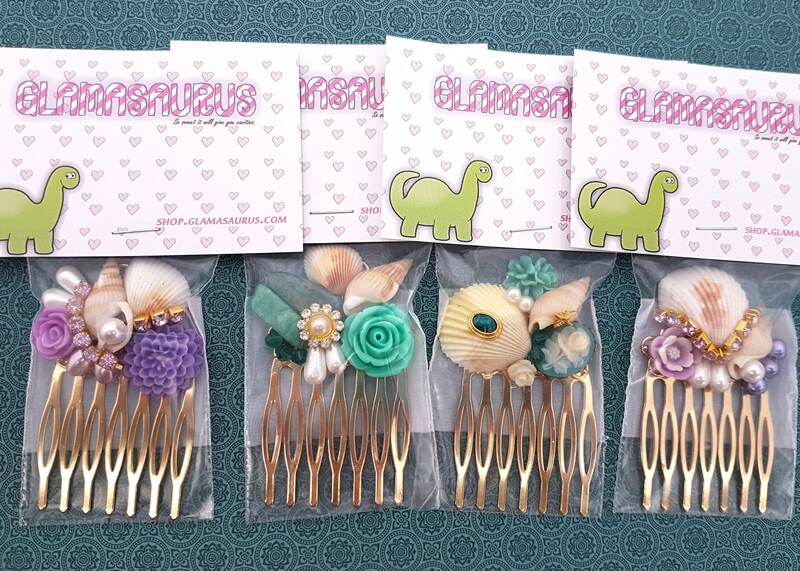 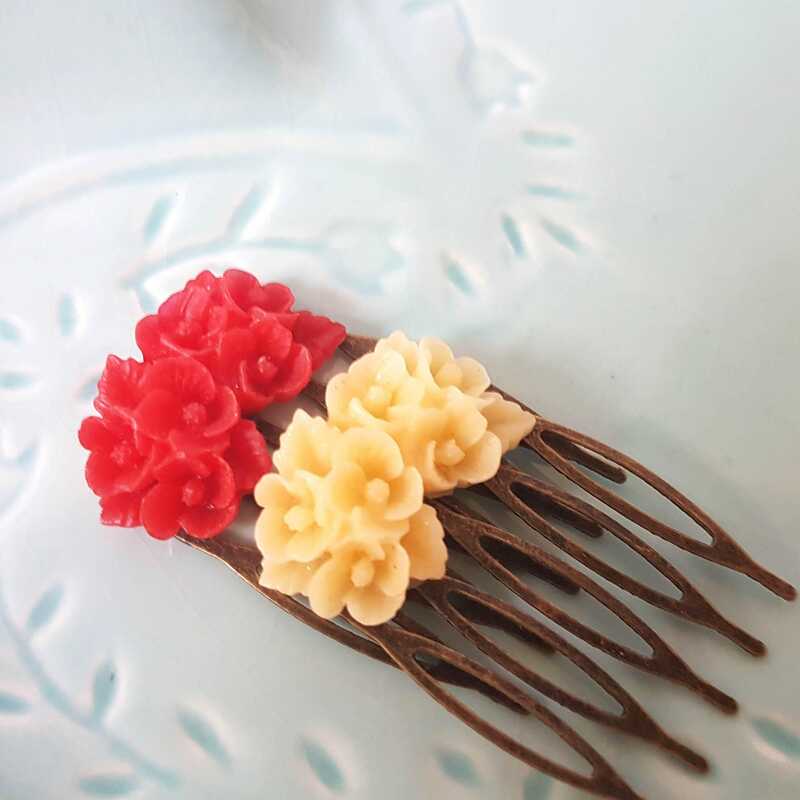 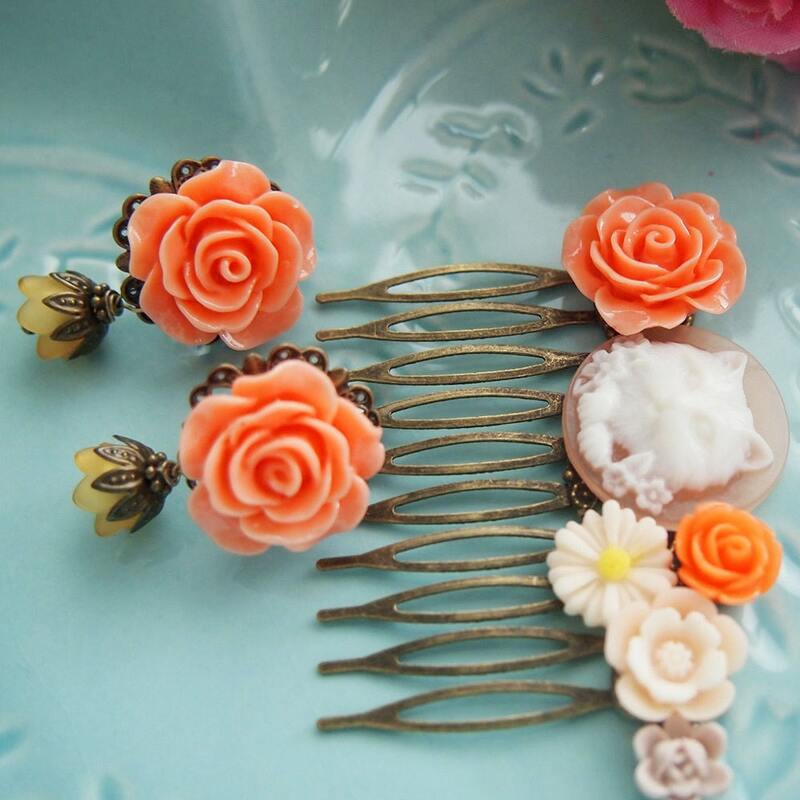 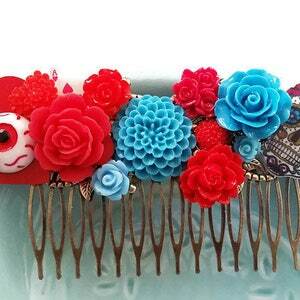 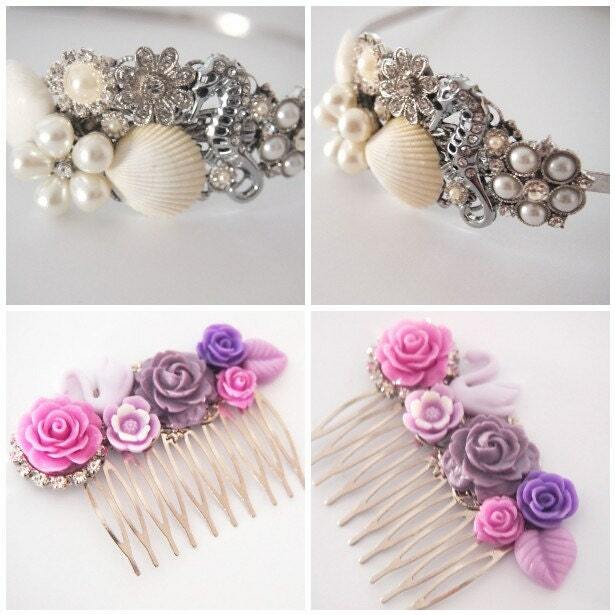 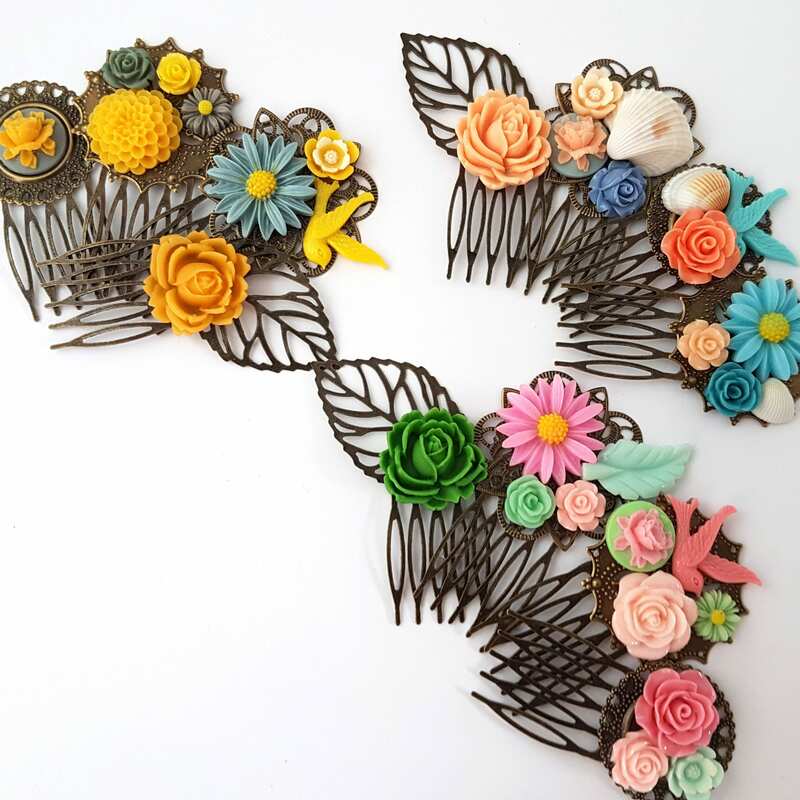 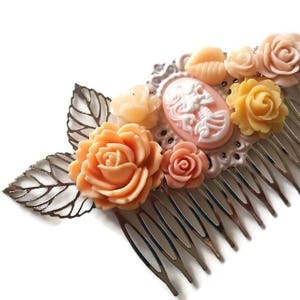 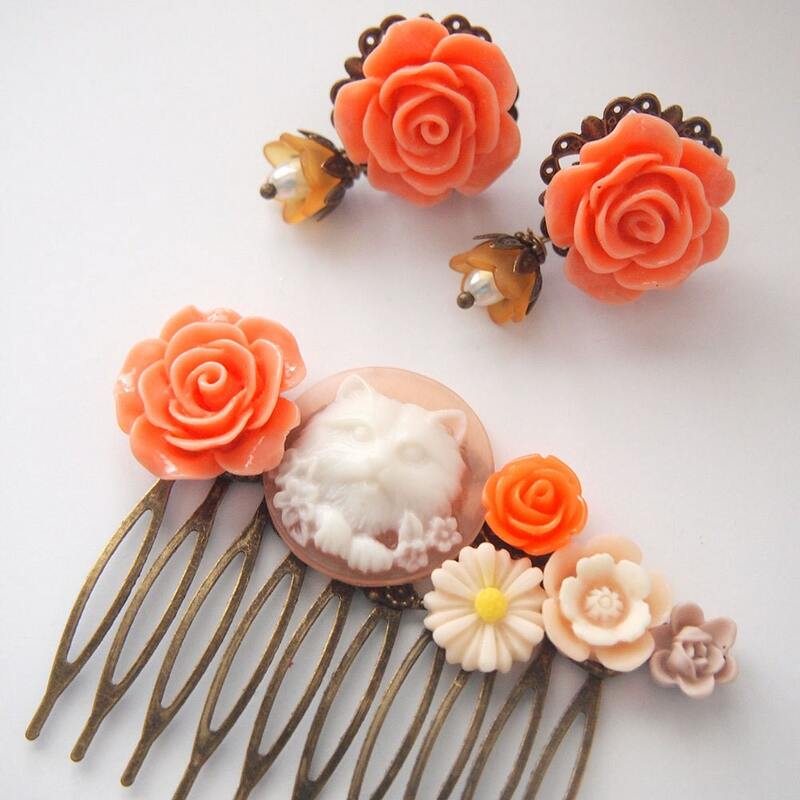 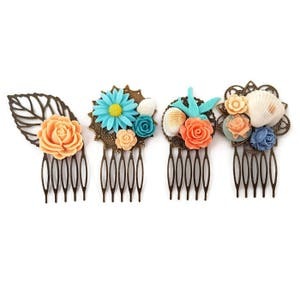 The amazing cluster hair comb features a persian kitty cameo surrounded by color coordinated flowers. 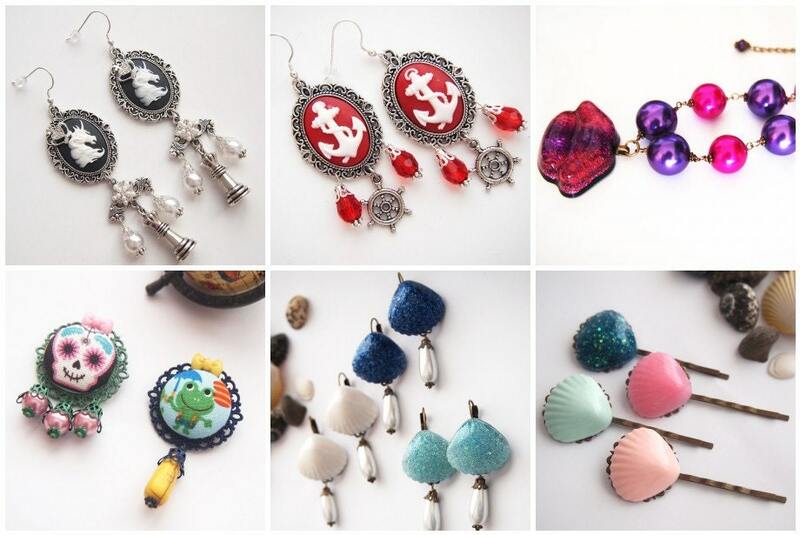 I made matching earrings to go with it.